The Jewish diaspora is the kind of phrase you only use in college, and even then you’re not sure what it means. 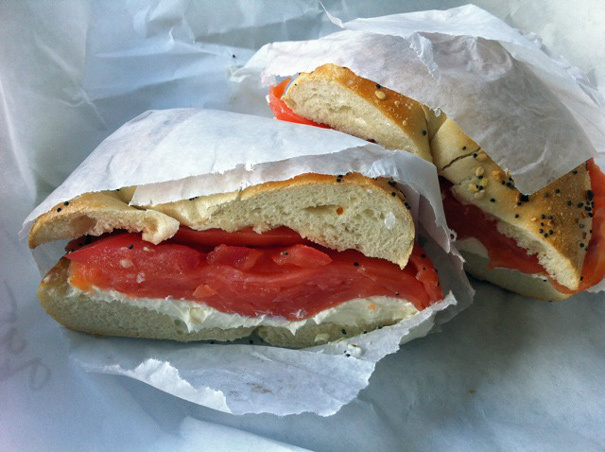 But I know this much: Jews in Boca Raton, Florida make good bagels. 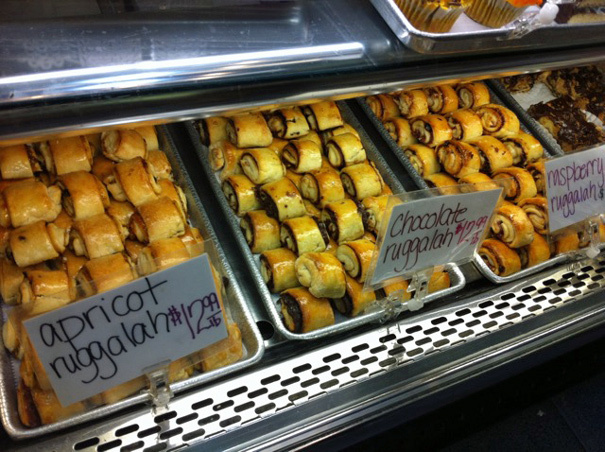 I’ve long sung the praises of Bagelworks on Glades Road near the Turnpike–my favorite bagel destination when I visit home (I always get “the works” with two scoops of white fish and one scoop of nova spread)–but, traditionally, my mom always buys bagels for the house from Way Beyond Bagels on Jog Road, next to the Starbucks. 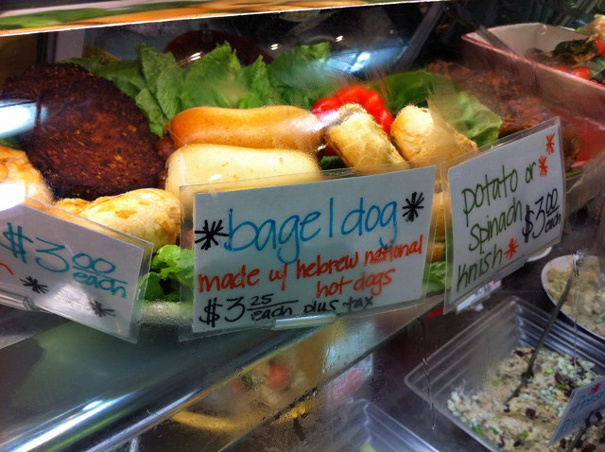 I’ve written about Way Beyond Bagels once before. 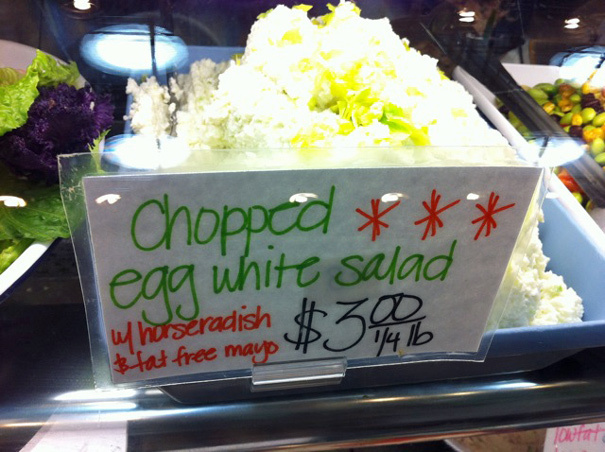 Celebrated pastry chef Shuna Lydon, from Peels in New York, once urged me to order an egg onion bagel from Way Beyond. I had my mom pick one up and did a post about it; but I never actually went to Way Beyond to experience the place in person. This post is about my trip there last Thursday. 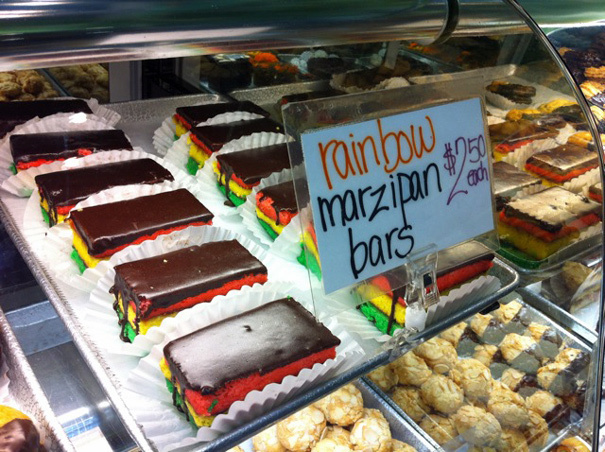 I don’t know why they’re called “Rainbow Marzipan Bars”–that’s incorrect, Way Beyond Bagels. Those are rainbow cookies even if they’re shaped like bars. 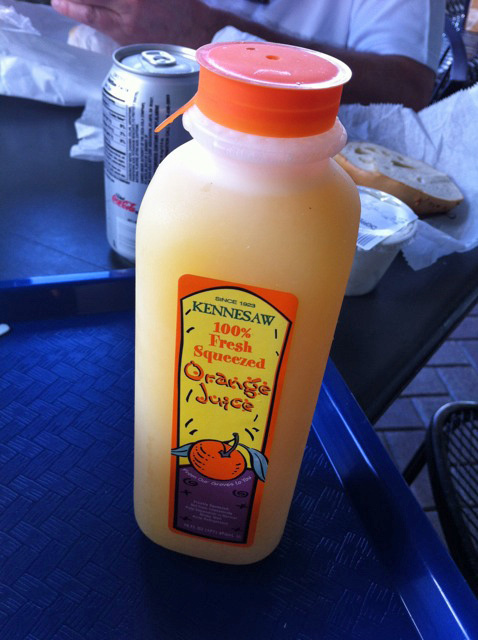 I want to eat one RIGHT NOW. Swiss Mocha Almond, Decaf Vanilla Nut, Hawaiian Coconut, Decaf Chocolate Raspberry and Hazelnut—barristas, avert your eyes. 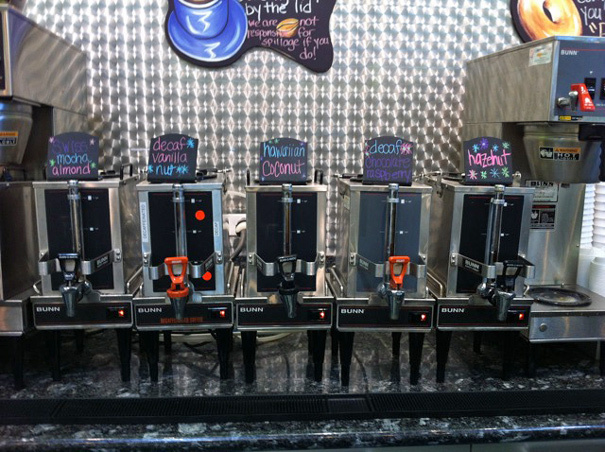 But one doesn’t go to Way Beyond Bagels for the coffee, one goes to Way Beyond Bagels for the bagels. My dad and I both ordered the same thing: a toasted everything bagel with cream cheese, nova, tomato and red onion. 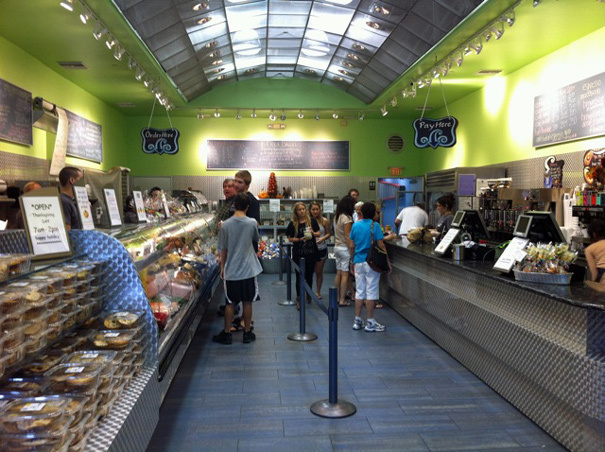 Back here in L.A., I’m not wanting for much–there’s good coffee (though Decaf Chocolate Raspberry is hard to find), good produce, good wine. 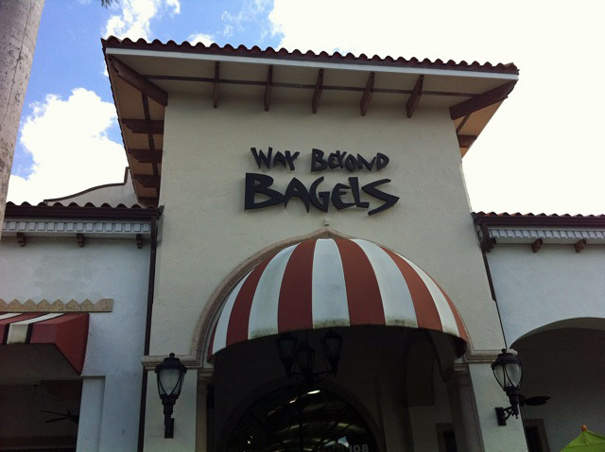 But there’s nothing like the good bagels you’ll find when you visit my parents in Boca Raton, Florida. 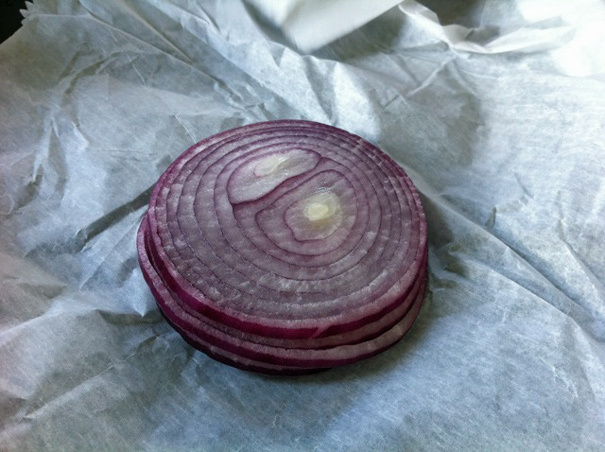 Just don’t skip the red onions or you’ll miss the whole point.